No rule says that seed starting requires fancy flats or trays. For the frugal gardener, spending money on pots and containers is a definite no-no. The smallest portion of your gardening budget should be allotted to containers. Why? Because they’re so easy to find for free or cheap! Including plenty of DIY options to consider! When looking for items to recycle into seed starting containers choose pots that allow for appropriate drainage. You can poke holes to let water to seep through. When puncturing the container isn’t possible, add rocks to the bottom, so your plant’s roots don’t sit in water. Consider the following when selecting container sizes. Will you be re-potting seedlings at some point? Or are you timing your plantings so that you’ll just need to transplant once into the garden? I like to set my containers on a tray of some sort to keep accidental soil and water spills in check. I also prefer to water seedlings from below to prevent damping off. Years ago I splurged on heavy-duty seed starting trays. I expect them to last for years to come. Any tray will do. Check your kitchen cabinets for old serving trays. Dollar store options – pass by the dollar store in the spring and you’re likely to find a few seed starting options for a steal. Jiffy or coir pellets – these aren’t free, but they’re typically low cost and super easy to use. Add a little water, and they puff up, so they’re ready for seed starting. Buy in packs to save money and find a tray or use a box or larger container to keep them in. Clamshells – strawberries, blueberries, salad, baby spinach, it’s a shame that so much of our food requires so much plastic packaging. Use it to your advantage by repurposing the clamshells as trays for your pellets or soil. Close the top, and voila you’ll see your seed sprouting in no time! These are just a few ideas. There are no doubt plenty more. Let me know if you have a favorite budget method for starting seeds. I’d love to hear it! Leave a comment below. Still Thinking of Buying Speciality Trays and Flats? If you want to spend extra money on this type of equipment, that’s fine. I do suggest, though, that you make sure you’re buying the highest quality containers that you can afford. That way, you can reuse them each year. Regardless of the container you go with, if you pick something that’s being repurposed or reused, just be sure to sanitize it. Actually, if you’re going to use egg cartons, get the pasty paperboard ones. The styrofoam ones are probably toxic. Absolutely! I didn’t even realize they still sold the styrofoam ones! 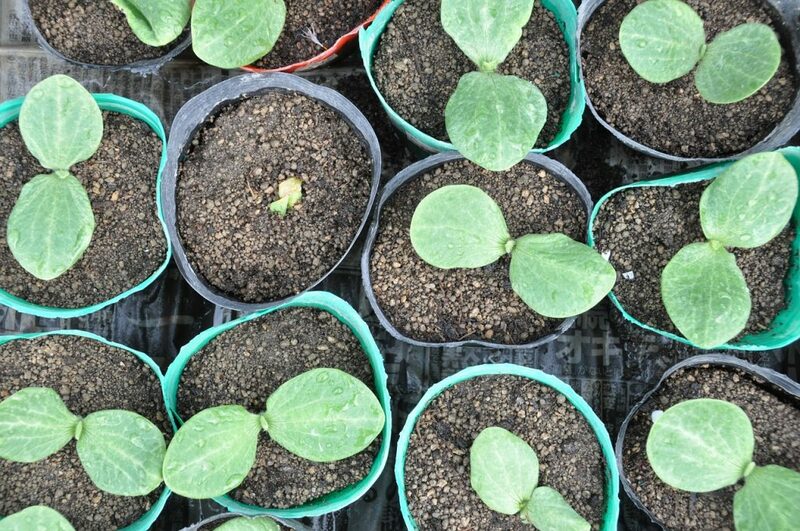 What about hygiene… There’s lots of talk about bacteria & mold that infect the seedlings in old or previously used plastic potting trays? I actually like to wash even new containers. I prefer the top rack of the dishwasher because the combo of high heat and detergent really help sanitize, but not all containers are dishwasher safe, of course.